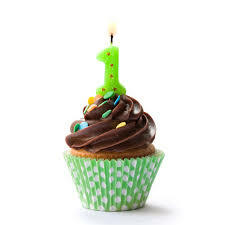 It’s a beautiful day and I’m so happy and excited to tell you that today marks the 1st year of “All about worship” blog. I feel so blessed to see that this blog is being a blessing to so many. I thank all my family, friends and everyone that has been following this blog for your supports. I noticed that people from different parts of the world follow this blog and I believe that y’all are being blessed by it. People from United States, United Kingdom, Nigeria, Greece, Paris,Italy, Harare Mashonaland East ( a province in Zimbabwe), Kharkiv Kharrkivs’ka (Ukraine), Botswana,South Africa, Gaborone, Delhi, Malaysia to mention a few. The interesting thing is that I have not heard about few of these places until I started this blog lol! I am so humbled and I feel fulfilled. I believe many more will continue to be blessed by this blog. This blog started on blogspot as “yadahpraise.blogspot.com” and later on to “fiscoyadahpraise.com” and was birthed as a result of my passion for worship. To see that people from all walks of life irrespective of their background get a deeper understanding of the meaning of worshiping God. My passion is to see people love and worship God and for believers to live a lifestyle of worship. Topics that are relevant and of importance to the music ministry will be discussed. You will also get to have information about upcoming gospel artistes and their concerts so you can attend the ones nearest to your location. Very soon we will continue topics on nutrition and health, our bodies are the temple of the Holy Spirit and we also need to constantly remind ourselves to live a healthy lifestyle of proper nutrition, getting adequate rests and exercise . These are some of the reasons we will be having discussions on nutrition and health. So I have a question: What concert was first posted on this blog and where was the venue? The first person to get this answer and posts a comment on this page gets a gift from me. I’m sorry you must be around U.S to participate and get a gift. Amen and Amen!!! Thank God for your life. It’s just the beginning fb greater things to come. God bless you real good. Congrats on your first anniversary. 🙂 More Grace! Celebrating Jesus….A feast for the king. I agree with Sis Bunmi’s answer. Can this prize be shared cos we both got it right?